Sample requests are subject to Academia and dealer approval. Most samples will ship the next business day via common carrier. Offers limited to shipments in contiguous USA only. Any requests of more than one chair and desk/table will require a follow up communication. Requests may be limited. 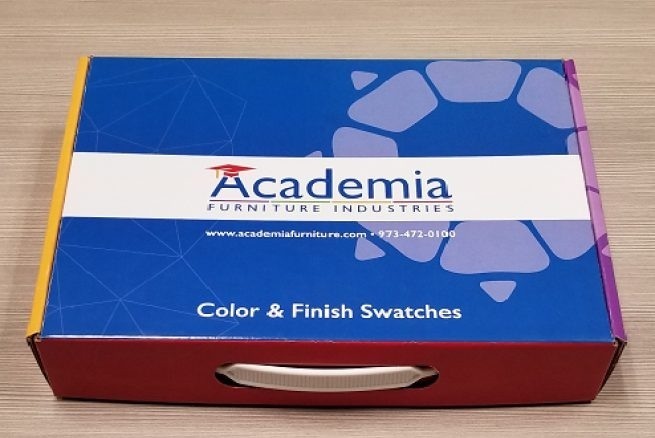 Samples orders will be placed with an Academia Furniture authorized dealer. Academia Furniture will contact you to complete your sample request. Bloom into Collaboration! No need to choose space over collaborative learning teaching styles. 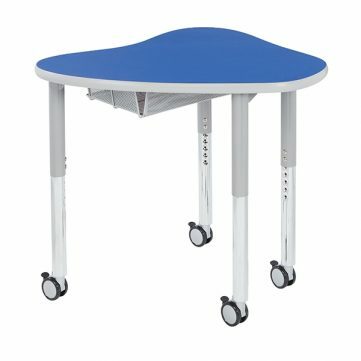 This desk only uses only 31 to 44 square inches of classroom space. More Students no longer equals less space. Create a synergistic relationship with modern teaching styles and furniture with the Synergy Desk. 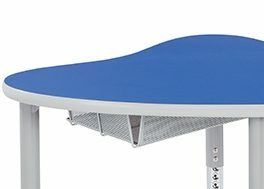 Extra-large desk top; 681 sq. 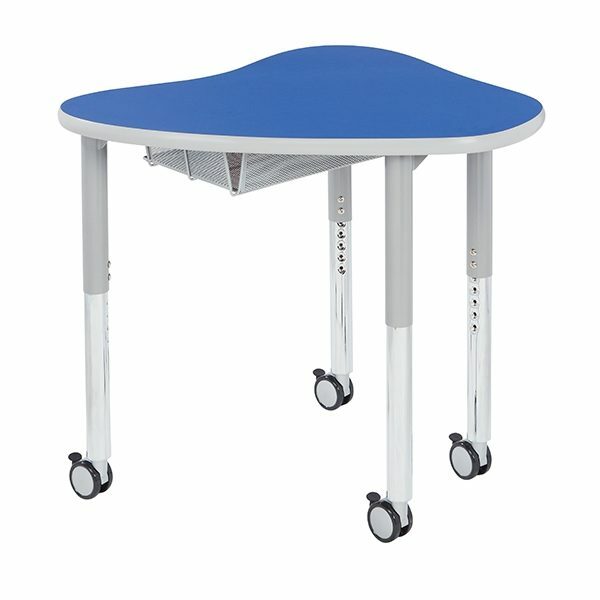 inches of work surface, ideal for collaborative classroom environments. Set in rows for lecture based classes. With 3 students in a pod, this desk uses 31 sq. ft.
Add one more desk and only 4 sq. ft are added for a total of 35 sq. ft.
Five students in a pod only requires 4 more sq. ft from a pod of 4, totaling 40 sq. ft.
More students does not equal more space. The Synergy's unique shape maximizes classroom space. A pod of 6 only uses 44 sq. ft of classroom space. 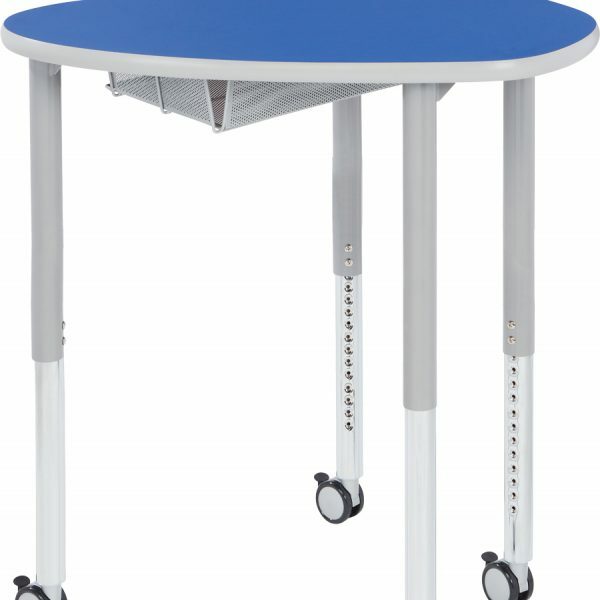 This desk comes standard with 2" height adjustable glides. Want to go Mobile? 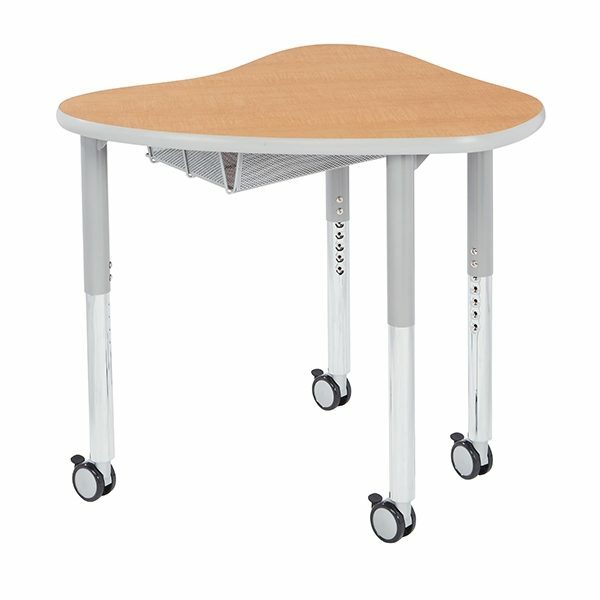 This desk is compatible with 3" heavy duty locking casters. 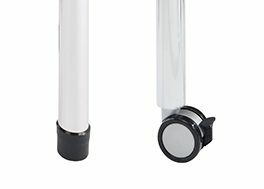 The upper kegs are attached to the unitized frame quick-mount brackets and supported by heavy duty steel support plates. Maintain the classroom neat by adding a steel mesh book-box. This book-box has a pencil groove too. 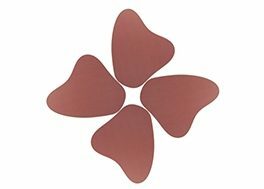 Bloom into collaboration with the Synergy! 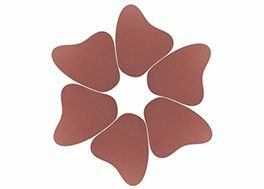 Customize and get creative with our many finish and color options. Explore the series. 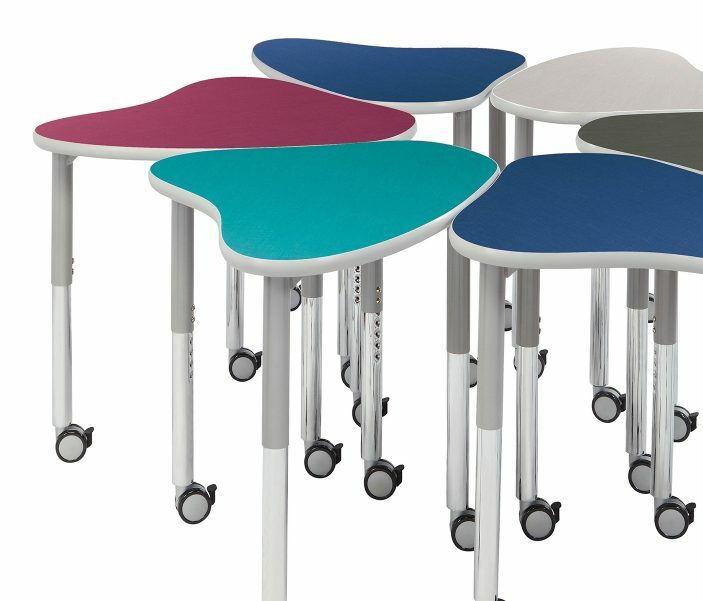 As individual desks, or in pods of 2, 3, 4 or 5, Synergy is the ultimate in collaborative seating options. 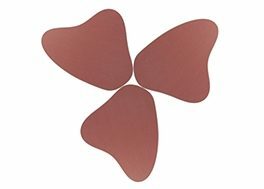 Artistic profile stands gracefully alone; fits together to form stylish shapes for student collaboration, with or without teacher supervision. 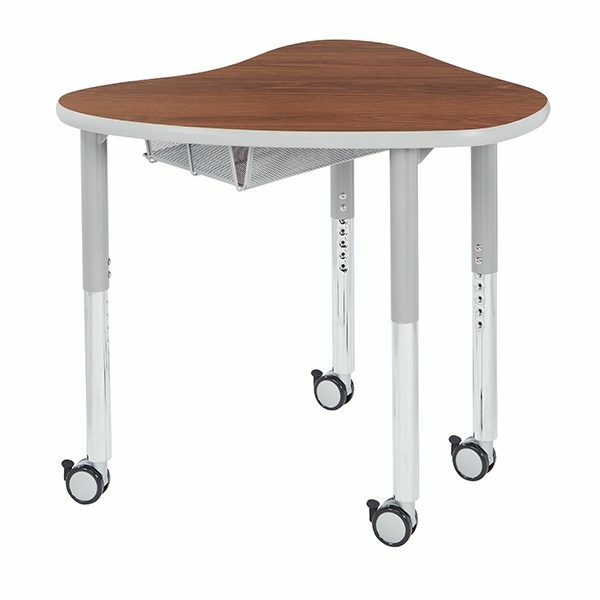 Your choice of casters or glides easily rearranges for years of various grouping needs. Reinforcing supports add greater durability. 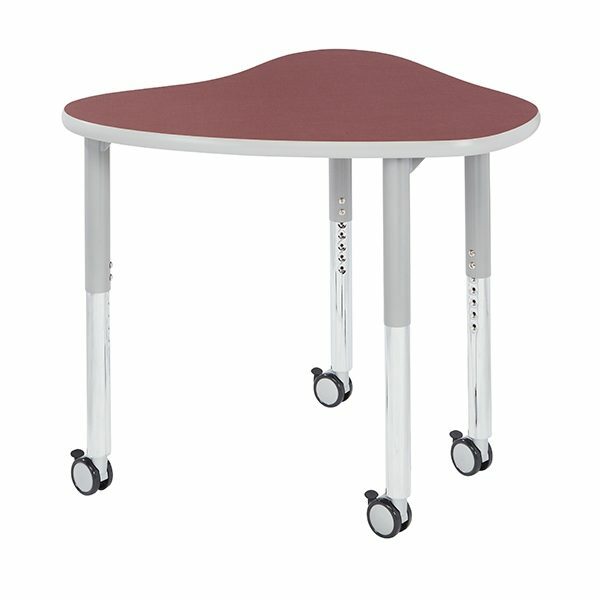 Adjustable heights accommodate K-12. Sturdy, smooth surface cleans in a cinch. 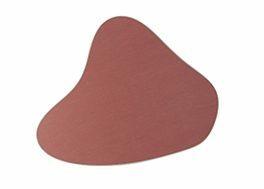 Desktop: High pressure laminate desktop is 29" wide, 32" deep and covered by PVC edge banding. 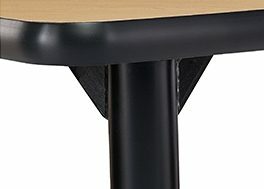 Edge banding & legs are black as a standard option unless Educational Edge* is requested. Only available in High Pressure Laminate. Frame: Desktop support: Powder coated ¾" square 18 gauge steel tubing. Legs: Powder-coated 2 1⁄8" round 18-gauge steel. Insert Legs: Chrome-plated 2" round 16-gauge steel with two self-locking screws. Legs adjust in 1" increments to heights from 23" to 32". Legs are attached to desk with quick-mount brackets. Toddler Height Legs: Height adjusts in 1" increments from 17" to 22". Add “S” at the end of model when ordering. 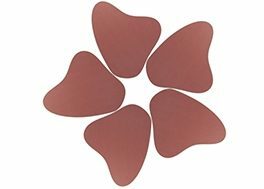 Glides: Matching colored polypropylene 2" adjustable glides. Log in to gain access to product information, images, specification sheets, CAD files and much more. Can’t find what you are looking for? Contact us - we are always here to help. Please check your inbox. Thank you! Fill out the form below and sed diam eget risus varius blandit sit amet non magna. All requests are subject to Academia and dealer approval. Most requests will ship the next business day via common carrier. You will receive an email from our office with the tracking info once the shipment has left. Offers limited to shipments in Contiguous USA only. Contact Misty our Educational Environment Coordinator for the latest in educational environment design, CEU training and more! She can even assist you with the portal, pricing and product related questions. Select any of the options below and Misty will reach out to you within 1 business day.